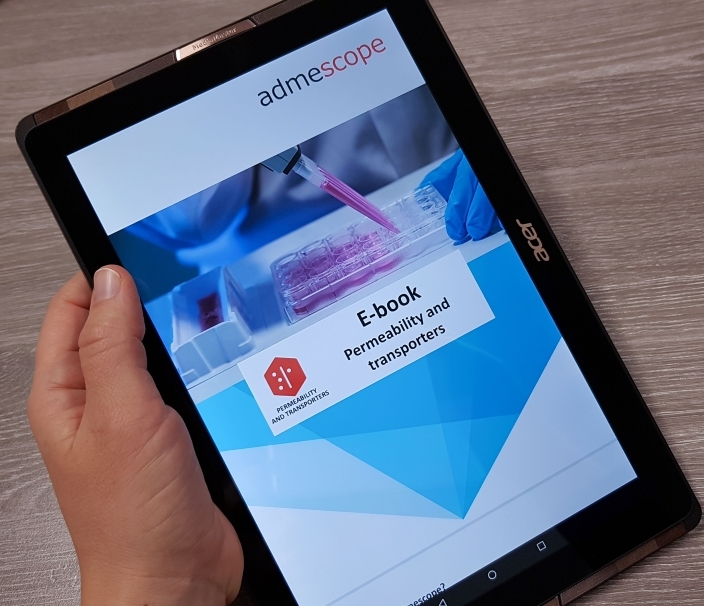 The freshly published e-book introduces the pharmacokinetically relevant drug transporters and assays, which can be used to study their functions. The book explains the clinical meaning of permeability and active transport in drug absorption, distribution and elimination. The important aspect of transporter mediated drug-drug interactions and their role in drug development are also discussed. The first e-book of the series, “In vitro metabolism”, introduced the readers to the world of ADME-Tox and highlighted the importance of in vitro metabolism research, one of our core strengths, in early drug development. The text gave a very thorough picture about the methodology and how to apply the in vitro data to predict in vivo kinetics. Not to forget, this book also gave an overview on the analytical instrumentation, which plays an important role in ADME-Tox research. If you are new to this field, this might be the e-book you wish to read first. In the second e-book of the series we covered the topic “Drug-drug interactions” and focused more closely on enzyme inhibition, but also enzyme induction studies and in vitro-in vivo extrapolation were discussed. The third book described the most common types of toxicity issues, from a drug development point of view, and how to screen and evaluate toxicity in vitro. Properly utilised in vitro toxicity screening can serve as an efficient tool for decision making in the early stage of drug discovery process. Regardless of the extensive in vitro research efforts and advances in in vitro-in vivo extrapolation (e.g. PBPK), conducting in vivo studies is still required to ensure optimal safety in the clinical phase. Therefore, the fourth e-book gave an overview on the common in vivo study set ups to investigate pharmacokinetics, without forgetting bioanalytical aspects with a focus on LC/MS techniques. In addition to the knowledge on designing and conducting in vivo experiments, also the right equipment for sample analysis is required to produce reliable results. To our delight, each of the e-books have received substantial interest from the audience – a big thanks for all the readers! In the case you didn’t yet have a chance to read them through, you might want to give it a go. All the e-books are available through our website and they serve as a broad information package about ADME-Tox science. We welcome any kind of feedback and ideas about the ADME-Tox topics you would like to hear and learn more about in the future. We are happy to assist our customers in every which way to thrive! You can download the e-books via this link.